ISHPEMING TWP – Laurence B. Dube, a.k.a., Lane Dawson, 75, of Ishpeming, passed away unexpectedly on Sunday, November 13, 2016, at his home. Laurence Dube was born August 24,1941, at home in Hubbell, to David Andrew and Mary Edna (DeLisle) Dube. He attended Lake Linden-Hubbell Schools and the Academy of Broadcasting School. Lane served in the U.S. Navy and was a third class Hospital Corpsman, working as an operating room technician. He received an honorable discharge in 1966. Born Laurence Dube, he later changed his name to Lane Dawson, a stage name. He was an accomplished singer and songwriter who toured the country with his band “Lane Dawson and the Dawson Boys” that had the privilege of playing at the Grand Ole Opry and also toured with some famous country singers including Buck Owens. Lane started his broadcasting career with WMPL in Houghton and was vice president and general manager of WJPD in Ishpeming for many years. In 1979 Lane started a travel-tour company called Debbi-Tours Inc. He and his wife Judy traveled extensively here and abroad and was often referred to as “the singing bus driver”. Lane retired from his travel work in 2004, due to a setback after brain aneurysm surgery. After recovering he went back to work briefly for Checker Bus, but could not stay away from broadcasting and joined Great Lakes Radio hosting The Country Scoop on 103 FXD. Lane was not only a wonderful singer and songwriter but an energetic performer. He loved to make people smile with his humor and endless antics. 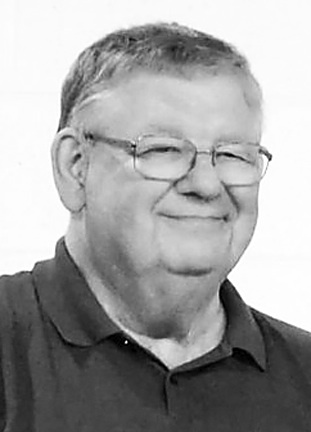 He enjoyed electronics, was a member of the Amateur Radio Club in Marquette and St. Joseph Catholic Church in Ishpeming where he sang in the choir. Lane is survived by his wife, Judith A. (Sundberg) Jenkin Dube, whom he married on December 4, 1971; three children, Theresa (Mark) Stephan of Neenah, Wisconsin, Debbie (Terry) Frisk of Menomonee Falls, Wisconsin and Bill (Jeanne) Jenkin of Germantown, Wisconsin; a brother, Weldon (Lupita) Dube of Goodyear, Arizona; five grandchildren, Brett (Jenny) Hendrickson, Ben (Veronica) Hendrickson, Rachel Frisk, Adam Frisk and Jacob Jenkin; five great-grandchildren, Aleiyah, Nayomi, Eli, Sam and Henry Hendrickson; mother-in-law, Angeline Sundberg of Negaunee; along with many nieces and nephews. Lane was preceded in death by his parents; a son, Larry; two sisters, Theresa Steele and Joyce Taubitz; and three brothers, David Dube, Raymond Dube and Paul Dube. A Mass of Christian Burial will be celebrated at 12 p.m. on Friday, November 18, 2016, at St. Joseph Catholic Church in Ishpeming, with Fr. Dan Moll officiating. Lane’s family will greet relatives and friends on Friday, November 18, 2016, at St. Joseph Catholic Church from 10 a.m. until the time of service at 12 p.m. A luncheon will follow the service in the church fellowship hall. Military honors will be accorded by the United States Navy. Memorial considerations may be directed to the Juvenile Diabetes Research Foundation, jdrf.org in memory of Lane Dawson. Lane’s obituary may be viewed at bjorkandzhulkie.com.